The Willoughby LRBHL-2320 Ligature-resistant Solid Surface Behavioral Healthcare Lavatory is a single-user fixture for vandal-resistant behavioral healthcare environments. Willoughby Aquasurf® lavatory fixtures are constructed of Aquasurf® cast polymer resin, a stain-, impact-, and burn-resistant solid surface material. 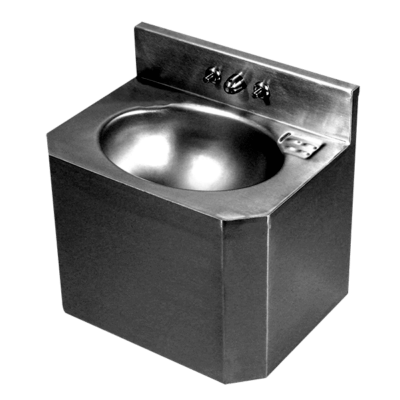 Standard LRBHL-2320 fixtures come with a contoured lavatory basin; drain assembly; selected valve, control, and plumbing; and inline thermostatic mixing valve; with anchoring through the preassembled stainless steel mounting pedestal (anchoring hardware and adequate backing by others). The rounded lavatory has been thoughtfully designed to minimize potential ligature points. 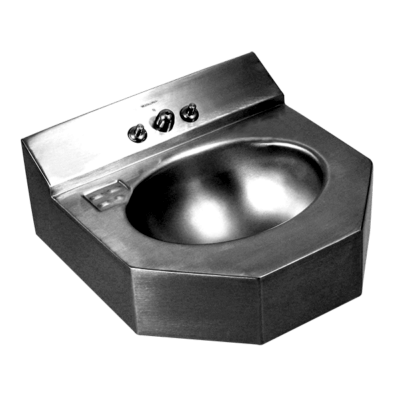 All connections between the outside plumbing and the LRBHL-2320 behavioral healthcare lavatory are concealed within the stainless steel pedestal, and the fixture meets all applicable ADA and ANSI accessibility guidelines when mounted at the correct applicable rim height above the finished floor. A removable trap cover attached w/ security screws allows access to all fixture plumbing and mounting points inside. 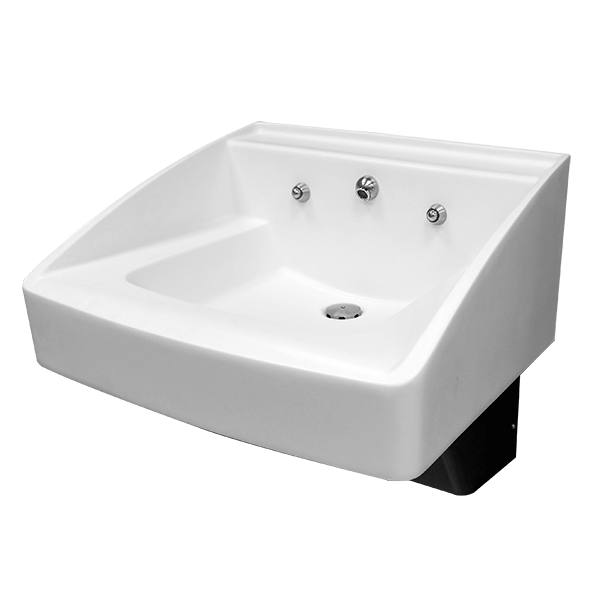 The Willoughby BHS-3123 ADA-Compliant Solid Surface Bariatric Sink (Lavatory) is a single-user solid surface sink fixture for use in bariatric healthcare environments. Willoughby Aquasurf® lavatory fixtures are constructed of Aquasurf® cast polymer resin, a stain-, impact-, and burn-resistant solid surface material. 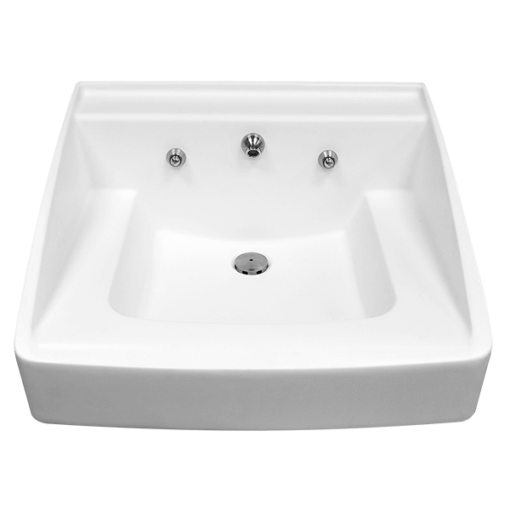 Standard BHS-3123 fixtures come with a contoured D-shaped lavatory basin; antimicrobial drain assembly w/ offset tailpiece; 1.5 gpm, 4CC, 8” gooseneck faucet and plumbing; and preassembled stainless steel mounting pedestal w/ solid polymer panel cladding. Standard anchoring is through the preassembled stainless steel mounting pedestal (anchoring hardware and adequate backing by others). 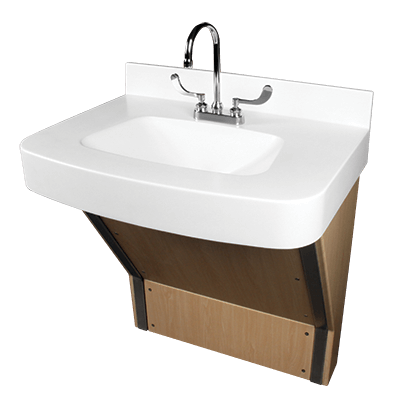 The rounded lavatory has been designed to withstand a static edge load of 1,000 lbs. to accommodate bariatric healthcare patients. The BHS-3123 bariatric lavatory can be ordered with a variety of optional features including: alternative faucets, faucet hole drilling, plumbing, etc. 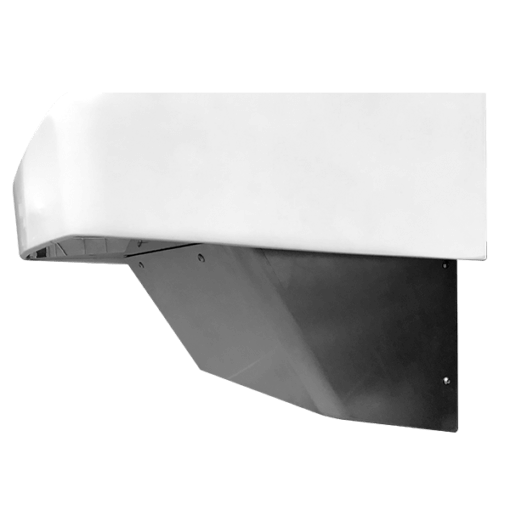 All connections between the outside plumbing and the BHS-3123 bariatric healthcare lavatory are concealed within the stainless steel pedestal, with a secure access panel attached w/ security screws allowing access to all fixture plumbing and mounting points inside. The BHS-3123 fixture meets all applicable ADA and ANSI accessibility guidelines when mounted at the correct applicable rim height above the finished floor.